Something about weaving pinwheels makes me want to giggle, and chase firefly’s in the moonlight. 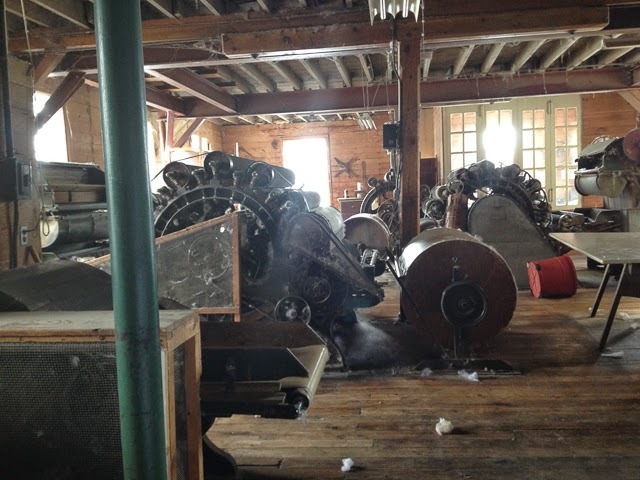 I found this hidden woolen mill accidentally while exploring the river in my daughters college town, Appleton, Wi. 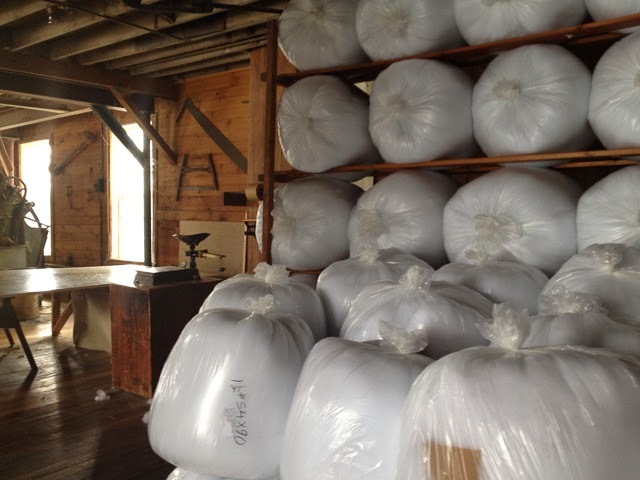 Established in 1880 it is called the Courtney Woolen Mill and they card wool into quilt batts. Good, fibery find= lots of daughter eye rolls. I'm a huge fan of pinwheels too, so I'll dance a little in your honour! The woolen mill is such a nostalgic place and your photos really bring it to life. I love that color and weave pattern for towels. 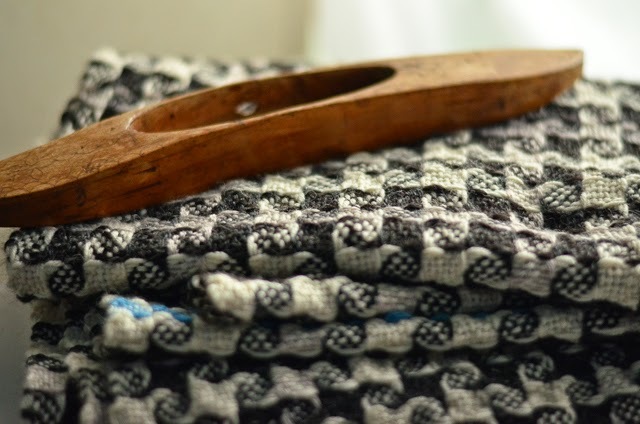 I've been weaving it almost every other project for 15 years. 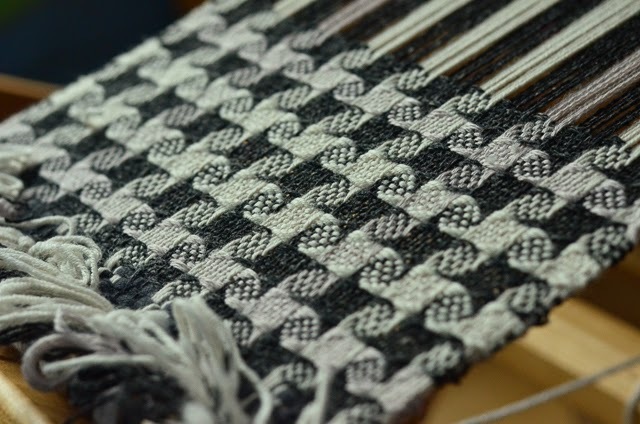 This time I've been away from it since last December, and I just started a black/white warp three days ago. 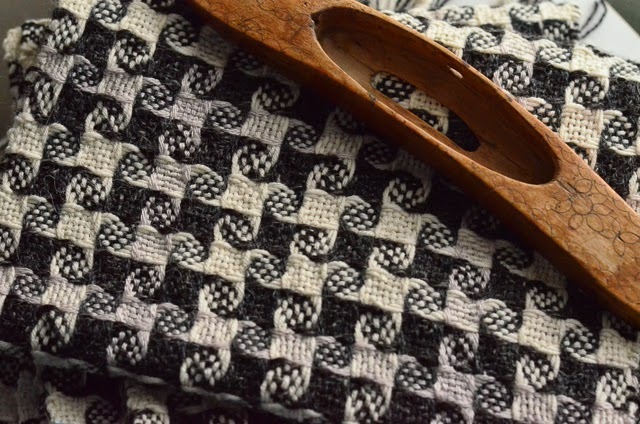 Seems everybody loves that pattern – you get a lot of things going on for much less effort than it looks. Glad to hear that I am not the only pinwheel fan. Thanks for your comments. 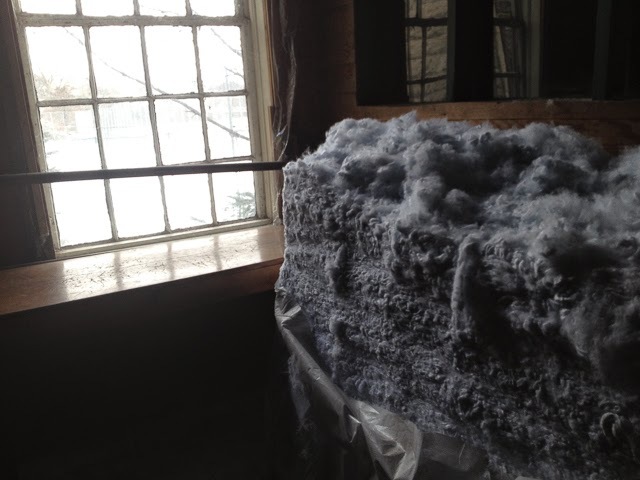 It was amazing to talk with the mill owner whose family had been running it since that 1880's.